This is a discussion on Vintage Nebraska Offense within the NCAA Football forums. The thread I created about utilizing a star fullback led me to attempt to recreate Tom Osborne's old Nebraska offense. I figured what better offense to use a FB in than that power run attack with some option. I'm sure some of you are fans of that offense, so I thought I'd share this. This playbook is straight out of the old Nebraska playbook, formation for formation, with a few tweaks, from 1970 to about 1999 during Solich's early years. Here are the formations, with the Nebraska name for the formation in parentheses. These are listed in order, as they appear in the playbook. Now there are a few notes here. The formations with *'s are actually formations where the inside slot WR was a wingback who was utilized in the run game as a pitch man, just like in the flexbone. To replicate this, I installed the 4 extra Flexbone formations that weren't there. Only Double Wing is a Nebraska formation, the other 4 are just replications of Nebraska's Slot Trips, I and Special formations. It isn't a stretch at all, the base alignment is the same, the second wing back is just moved down from the I. The other notes are the gun formations. 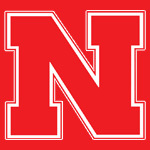 Under Osborne, Nebraska only utilized one shotgun formation called Shotgun, it was a 2x2 Spread set. Under Solich, they added gun versions of Wide Trips and Spread. I used Air Force as a base so I was stuck with a few gun formations, I left Split and Split Slot in since they would just be Pro and Open I sets in the gun. Trio HB Wk was added as preference, and kept the pattern of gun formations just being gun versions of the single back sets. Empty Base was added because Nebraska used an Empty under center set in the 90's (No Backs), but under center empty in the game is useless, so I used Empty Base. In terms of plays, it is tough because the most used plays for Nebraska are either not in the game or don't work right in the game. The most use run plays were 41/49 Pitch (an off tackle quick pitch, Nebraska used it this year. LSU's quick pitch is the same play). Toss plays don't work in the I in this game, so I had to dump this. The other one I dumped was the Belly series, a FB dive and then a fake FB dive and double option. There isn't a fake to the FB double option in the game, I just replaced it with triple option. Note that Nebraska has never really run triple option, it just looked like, there were no dive reads. The trap game Nebraska used also isn't blocked right in the game. So all of my formations have the following: Counter, Iso, Power. That is my entire run game, found in every Ace or I formation. In all my I formations I also have a Triple Option and Load Option (Arc Option). I also have Lead Draw's in there, which is a very Nebraska play. Play action could not be replicated well, Nebraska ran option passes more often than anything and they simply do not work in the game, mostly because you can't hot route WR's in them. I have a few quick screens as well, especially in my wing (Flex) sets as the quick pass. I do have a ton of rollout and QB Sprintout plays. My favorite is Ace Y Trips QB Sprintout. If I'm passing more than 10 times a game in this playbook, I screwed up somewhere. For play calling, this is power run first, option second. I power run to set up the option, it is just like Nebraska did it. My base play is Iso and Counter off of it. I run Counter more simply because most people load the strong side of the formation and I get 2 guards pulling to the backside. When I'm getting people loaded in the box, I go triple and load option. As Coach Osborne said, our option plays are another team's pass plays. We expect to go 7 yards+ when we call option. I'm the same, option is my big hitter. My QB isn't that athletic, just enough to get it outside. I use Flexbone to run Speed option and FB Option. The big thing for me in the run game is motion. I use WR's to motion and block on almost every play. That is very authentic to Nebraska as we used the Split End and Flankers to crack on almost every outside play. I make sure to avoid tendencies by running away from the motion every so often. The counter/power game is absolutely filthy when you can get a WR to blow up the end man on the line and then get pulling linemen out front. I've put up 400 yards a piece in two wins in my last two user v. user games in my Clemson OD with this offense. My star FB gets carries from both the FB position in I and Flex and the HB position in Ace. He has run about 40 times for 300 and 6 TD in the two games combined. My HB has similar numbers. My QB hasn't run for much at all, although I did break an 80 yard option run with him once. Otherwise, probably no more than 20 yards. I also haven't taken a shotgun snap in either of these games. If you love power football, option football, that old Nebraska way of doing things, I invite you to test this offense out. There are very few things more rewarding than putting up 40 points and 400 yards vs a human opponent running 50 times a game and just outsmarting and outworking them. You need patience though, get used to 10 play TD drive instead of 4 play TD drives and if you can't go a game without shotgun and slinging it around, this isn't for you. I love how this has come together so much I think I am going to keep it next year, despite losing the amazing fullback and the only good TE I have to graduation. I'll make it work some how, maybe with a few tweaks. I'll return an 87 rated SO (JR next year) quarterback who is 68 speed and a pure passer, as well as the 82 rated, 83 speed guy that is starting for me in this offense (SR next year). I'll also return an 84 speed FR QB and gain a super star passing QB. I am eventually going to have to return to a more significant passing attack just because I can't pass up these star passers I have and speed QB's are hard to find, but for this year and probably next year, I'll run this. Let me know if I can help make this work for any of you wanting to try it. B Easy and BadAssHskr like this. wow nice job in creating this. I may try this with my own dynasty over the weekend and see what happens. It is a lot of fun. It isn't an offense you really want to play from behind with, although if it comes down to it, you can line up in Shotgun Spread Flex and run a two minute drive. It has proven to be a lot more explosive than I anticipated, I figured it would be more ball control but I've put up 40+ and 400+ yards in every game with it. The two key parts to me are motioning the WR's to block and picking spots with the option. It isn't complicated at all, especially against users. Counter/Iso/Power, I will mix in a lead draw out of my Slot formation in & long situations. I'll run FB Dive out of Flexbone often and then run speed and triple option off the same look once people start tightening up. Good post. Enjoyed the read. I run an offensive system similar to the one you described. There's slightly more Ace and less I-form, although I generally do not run Option plays. Occasionally I will run a couple plays from Pistol, Pro, Split, and Far, but these are typically Dive, Smash, etc. Additionally, I have an Empty set for end-of-the-half, deep-ball passing situations. In response to your post I will likely included additional I-Form packages. Are the I-Form packages cited in your post all from I- standard, or any from the Weak or Strong (I forget the derivations) packages? I also prefer a pure passing QB with little speed but good accuracy, so that when I do pass there's a reliable arm in the pocket, and also so that the defense must 'respect the passing game' (though i don't know if the game programs for this). The big thing for me in the run game is motion. I use WR's to motion and block on almost every play. ^^^ I agree totally. My issue is that there is not enough of these sorts of plays available. It irks me that when running a play which features pre-snap activity (green route), I am unable to send another player in motion prior to initiating the preprogrammed movement. Also, the inability to change the direction of a run (using R-stick) before the snap is inactive on these types of plays--another annoyance. All the I listed is inline I. I wanted to have a triple option threat out of every I set so I could force people to contain outside. Next season when I lose my monster fullback, I could very well add some Strong/Weak I sets since I'll run less option and will need to open up the passing game just a little bit. Automotion plays get so predictable that I just remove them all from my playbooks. The only ones I have are the Sweep's in Ace Big and I think I have Drive and Z Spot for passes in Ace Slot. Biggest thing is I-Backs and a FB. I prefer speed at I-Back, but best available works well. The year I started this offense I had recruited a monster 90+ speed fullback who was 240 pounds. He went on to win the Heisman Trophy his senior year. If you don't have a good FB, this offense will go nowhere. Recruit the best FB you can with about B speed and great blocking. At worst, you can make a TE or HB a FB, but you really should try to get a good FB. Offensive line run blocking skills are very important as well. Some people say they don't matter, but I had a ton of success against high run block/run block footwork OL. WR's need to be possession guys. Speed does not matter, I prefer taller, bigger guys who catch it in traffic. Also, WR blocking skills help. If you can recruit a 6'4", 240 pound TE with mid 80's speed, make him a WR. That edge blocking by the WR willl be huge for you. QB is amazingly the least important position in this offense. You can really get away with any skill level at QB here. Ideally he'll be in the low 80's speed. Any faster and you tend to get ahead of your I-Back in the option, accuracy over throw power. You can really adapt any QB to the system though, if he is 70 speed and a better thrower, you can run Counter/Iso/Power and play action (think Wisconsin this year). If he is fast, you can run more option. The offense is very adaptable to any personnel, but you really need a great offensive line and a great I-Back. Every year you should be grabbing 3-5 offensive linemen. I love grabbing low 70's overall 3* linemen. They are usually easy to recruit, you can redshirt them and by the time they are Juniors, they are mid 80's and very good. Obviously if you can grab high 70's/80's OL, that would be great.